Learn about how PinkTie1000 is making a change in the way you network. Learn how we are making our communities a better place through PinkTie1000! Sign up today and become a member. PinkTie1000 is a 100% pass-through organization with the mission to compel 1,000 business professionals to commit to contributing $100/quarter or $400 per year. In turn we will collectively cut a $100,000 check to local charities each quarter. PinkTie1000 is growing! 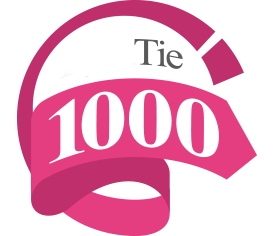 Now your community can be part of the PinkTie family by becoming a PinkTie1000 chapter! Benefit local organizations while networking and improving your business. All of the money raised will stay in your community and be donated directly to a local organization creating the most direct impact. ALL THE MONEY RAISED BY YOUR CHAPTER STAYS LOCAL!